Logitech offers Tablet Mouse for Android | Android Blast! If you don't like getting your fingers dirty when using your Android tablet, Logitech has an answer for you. They have introduced the Logitech Tablet Mouse for Android 3.1. The Tablet Mouse works with Android tablets running Honeycomb v3.1 or higher, and pairs via Bluetooth. 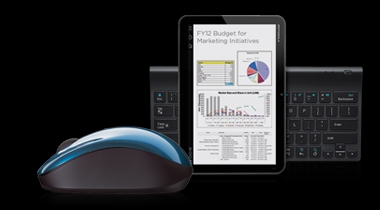 I'm not sure why anyone would use a mouse with a tablet since tablets were designed to be finger-friendly. In any case, if you have a specific need for a mouse you can check out Logitech's website. The Tablet Mouse will set you back $49.99.